Thomas P. Turzinski, age 74 of Rhinelander, passed away Thursday, April 4, 2019, at Rennes Health and Rehab. He was born Jan. 6, 1945, in Milwaukee, to Earnest and Grace (Trebatowski) Turzinski. Tom graduated from South Division High School. He proudly served for 28 years in the Wisconsin Army National Guard, earning the rank of First Sergeant. Tom resided much of his life in Milwaukee where he was employed at Pelton Casteel and Grede Foundries. He retired to Rhinelander. Among his interests, Tom enjoyed riding his Harley, fishing, and shooting sports. Tom is survived by his daughter, Michelle (Mike) Kieffer of Rhinelander; a son, Mark Turzinski of Muskego; a granddaughter, Brooke Turzinski of Whitehouse, Tenn.; and two brothers, Gerald Turzinski of Sheboygan and William Turner of Greenfield. He was preceded in death by his parents; a son, Michael; and his companion of many years, Judy Senske. At Tom's request, there will be no formal funeral services. 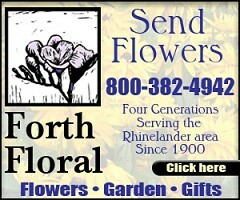 Carlson Funeral Home (715-369-1414 / www.carlsonfh.com) is assisting with arrangements. In lieu of other expressions of sympathy, the family suggests donations be made to the American Cancer Society in Tom's name.